Thousands of people on Tuesday attended the funeral of former defense minister Moshe Arens in his hometown of Savyon in central Israel. 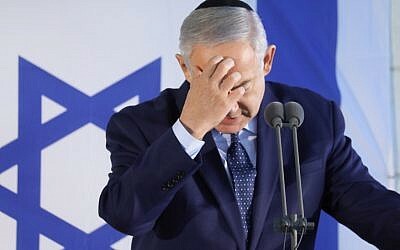 Attendees included Prime Minister Benjamin Netanyahu, who began his career as Arens’s protege, as well as President Reuven Rivlin and senior Likud officials. Arens, who died Monday at 93, was an English-speaking aeronautics engineer and defense industry executive who served as defense minister three times, as foreign minister, and as Israel’s envoy in Washington. He is widely credited with helping to develop Israel’s indigenous defense industry. “Israel is saying goodbye today to a great leader, and I am saying goodbye to a guide and a dear friend,” Netanyahu said at the funeral. He characterized Arens as a standard-bearer of the legacy of Ze’ev Jabotinsky, one who “advanced the notion of a Hebrew army and the Jewish state. “His legs were planted firmly in reality. He served three times as defense minister and contributed in so many ways to bolstering the iron wall that protects us from our enemies,” said Netanyahu. Netanyahu said he felt as though Arens’s death had left him “orphaned — as a son who has lost his father…with grief and with tears touched with pride in our shared path. 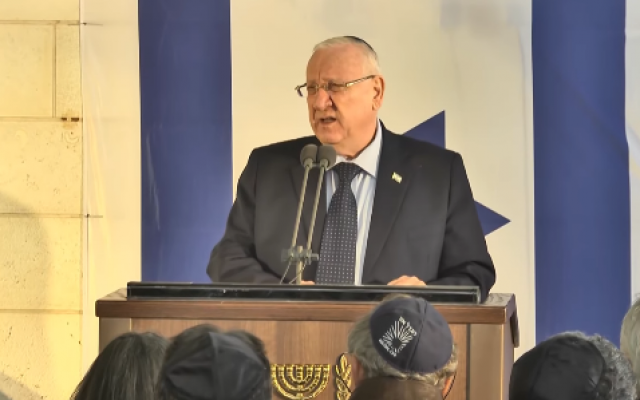 MK Nachman Shai (Labor), his former spokesman, eulogized Arens as a sensitive man who “leaves this world without a single enemy. Born in Kaunas, Lithuania, in 1925, Arens moved with his family to Riga, Latvia, in 1927, then to the US just before World War II in 1939. He attended high school in the US, served in the US Army Corps of Engineers in WWII, then immigrated to Israel and joined the right-wing Irgun paramilitary group, which immediately sent him to North Africa to help organize Jewish communities seeking to immigrate to Israel. He returned to Israel in 1949 and soon became a key member of the nascent Herut party, the progenitor of today’s Likud. Between 1951 and 1957, he studied aeronautical engineering at MIT and Caltech in the US, then returned to Israel to teach in the Technion – Israel Institute of Technology, Israel’s most prestigious technical college. He earned a tenured professorship there by 1961, at just 36 years old. 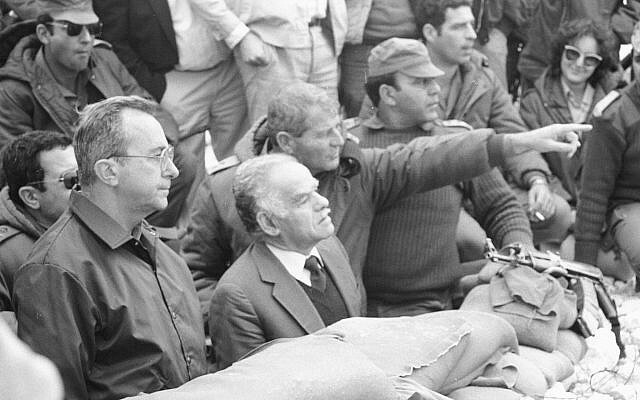 In 1962, he was appointed deputy head of Israel Aircraft Industries, a position he held until 1971 and in which he helped direct Israel’s major indigenous fighter-jet project, the Kfir, or “young lion,” as well as Israel’s first indigenous cargo plane, the Arava, or “willow,” which took its first flight in 1969. Arens’s contributions as an engineer and manager in Israel’s defense industries, and particularly his role with the Kfir, earned him the 1971 Israel Defense Prize, which is given each year by the country’s president. 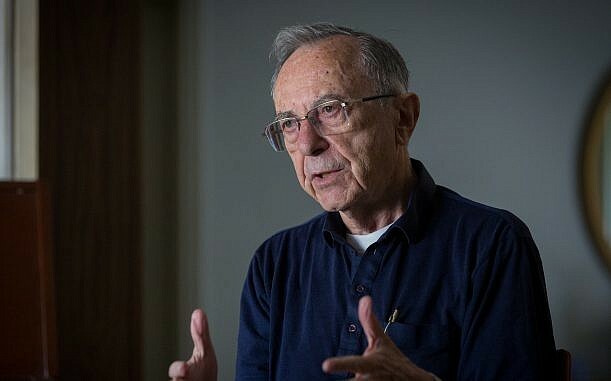 He first entered the Knesset on the slate of Herut, Likud’s progenitor, in 1973, serving for the next 19 years until his first retirement from politics in 1992. He returned to the Knesset between 1999 and 2003. 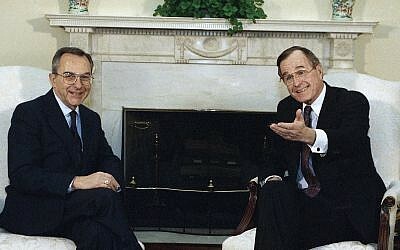 Arens declined to serve as defense minister when offered the position in 1980 over his criticism of the peace treaty with Egypt — he voted against the treaty in the Knesset — and was appointed instead Israel’s ambassador to the US in 1982. In 1983, he returned to Israel to finally take up the defense post after Ariel Sharon was removed from the position as part of the fallout from the Lebanon war. As defense minister, he oversaw a reorganization of the army’s ground forces into the Ground Forces Command and the establishment of the Homefront Command. In the 1980s, Arens was heavily involved in pushing for the development of yet another generation of homegrown multirole fighter-bomber, the Lavi, Hebrew for “lion cub.” Developed by a much poorer Israel than today’s, with a development tab that ran to some $1.5 billion, the program was finally canceled in 1987 in a razor-thin 12-11 vote in Israel’s cabinet, after just three prototypes had been built and only a year after the fighter’s first successful test flight. Arens became a “minister without portfolio” in the national unity government formed in 1984 with the Labor party. In 1988 he was appointed foreign minister, but returned to the Defense Ministry in 1990 for two years. He was appointed defense minister again by Netanyahu for a brief stint in 1999. Arens had been a key mentor for an ambitious young Benjamin Netanyahu, taking him to the Washington embassy in 1982, then backing him for UN ambassador in 1984 and deputy minister in the Foreign Ministry in 1988 — Netanyahu’s first significant public service positions. A consistent right-wing voice credited with shepherding dramatic advances in Israel’s aeronautics industry and military capabilities, Arens had a reputation as a man of principle. He has opposed Palestinian statehood in the West Bank and Gaza, suggesting instead that Palestinians could receive Israeli citizenship as part of a binational state. He also opposed the nation-state law and advocated for full equality and better integration for Israel’s minorities. He served as a member of the board of Ariel University Center of Samaria, in the northern West Bank city of Ariel. His death was lamented on Monday by Israeli leaders from across the political spectrum. Arens’s “contribution to the army’s strength through the establishment of the Ground Forces Command was one of the most important components in the development of the IDF’s operational capabilities,” Gantz added. Arens died at his home in Savyon. He leaves behind his wife Muriel, four children and nine grandchildren.